I love cityscapes photos – especially ones taken at sunset or at night. There’s nothing quite like the energy and buzz of a large city. 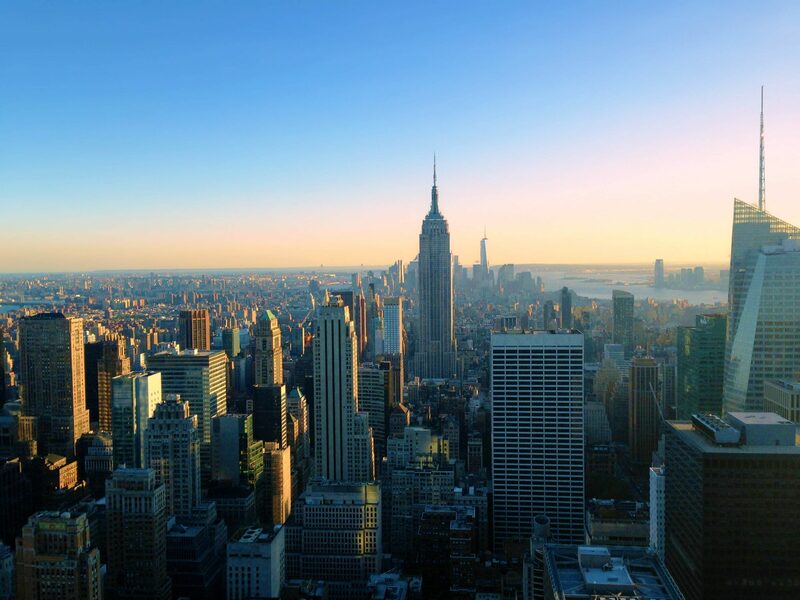 New York cityscape is one of the most famous and breathtaking in the world. An elevator to the top of the Empire State was the very first thing I did in New York on my first visit in 2005, and it was the very first thing I did last summer in New York also. Looking out at the city again was amazing, such a beautiful view. 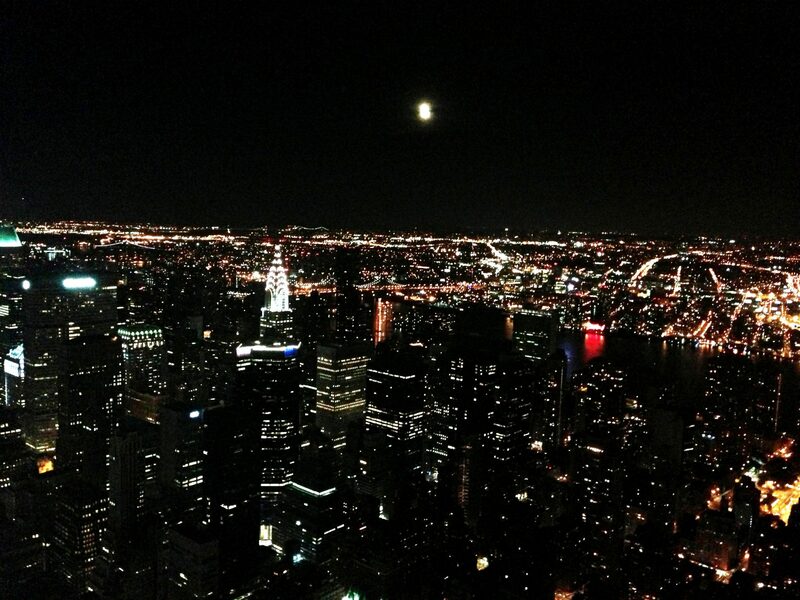 However, the next day, I went to Top of the Rock. What is your favorite? Cause I’m still not entirely sure which which is mine! Fewer things in New York are more iconic than the Empire State Building, so it holds a certain ‘magic’ for me. Besides, you can get an excellent view of the Chrysler Building and the Flatiron Building. 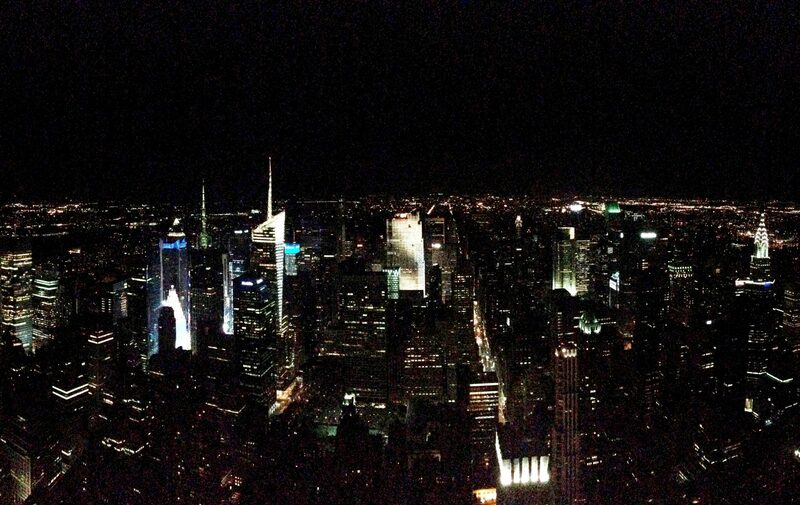 On the other hand, for many the best view of New York is definitely the one you can get from Top of the Rock. There is an exceptional view of the Empire State Building which provides wonderful photography opportunities. Anyway, if you’re going to spend a summer in New York (or whatever season in New York) you should definitely visit BOTH these classic buildings.This summer I decided to visit the Top of the Rock at sunset and enjoy the Empire State Building at nighttime. 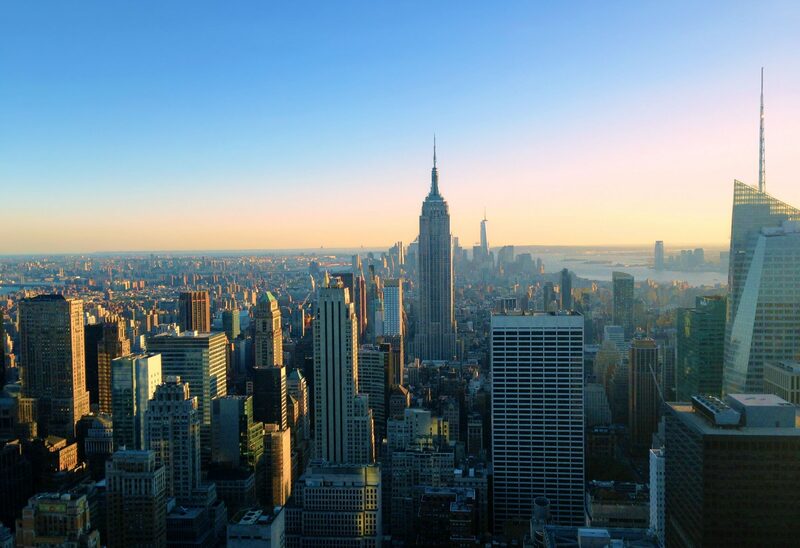 Which do you think is the best New York Cityscape? 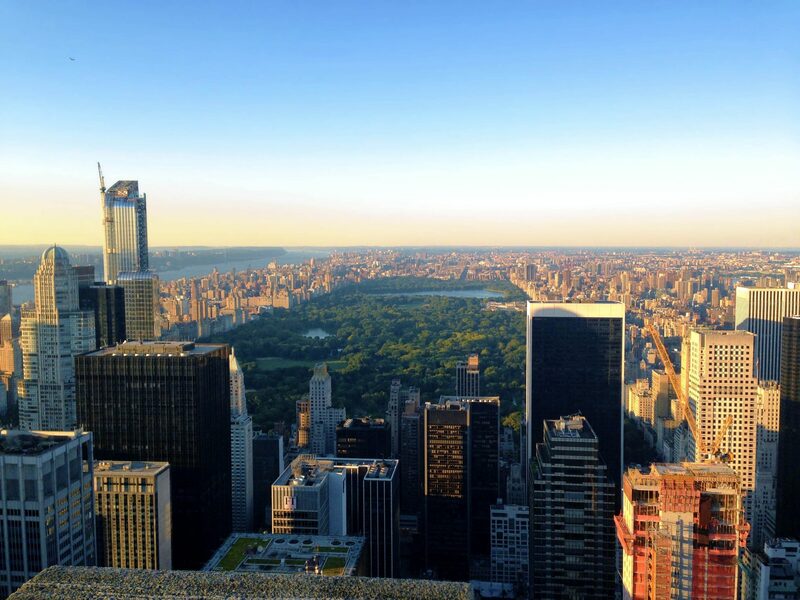 Even though you’re 10 floors higher up on the Empire State Building, the Top of the Rock is better located to offer unobstructed views of Central Park and a more complete view looking south down Manhattan that includes both Midtown and Downtown Manhattan. Also, as I said, it offers one distinct advantage over the Empire State Building: views of the Empire State Building! 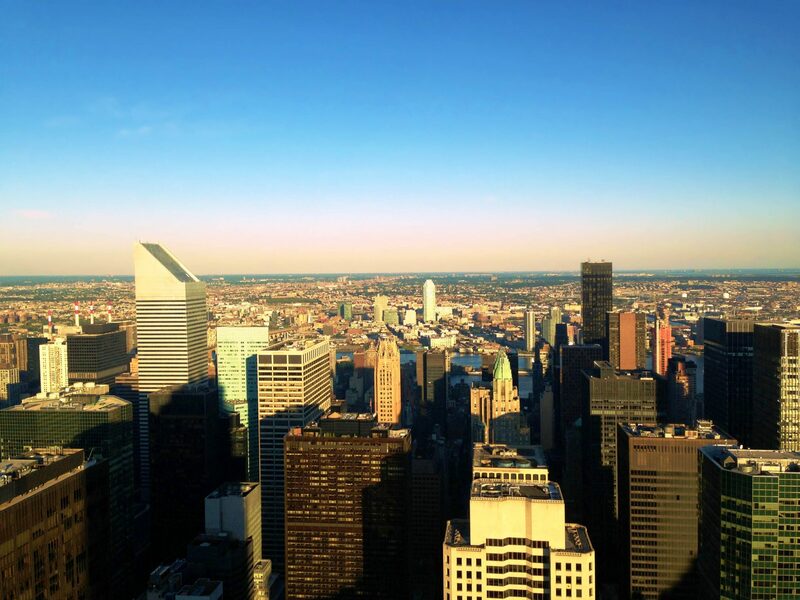 Thanks to this – and its spacious 360-degree decks – Top of the Rock Observation Deck features what many consider to be the finest panoramic vistas of New York City. The Observation Deck of the Empire State Building is a stop on almost any tour because of its great view, higher than any other observation deck. It really has a top of the world feeling where you are looking down on other skyscrapers. TheObservation Deck is open every day making it easy to incorporate into plans. 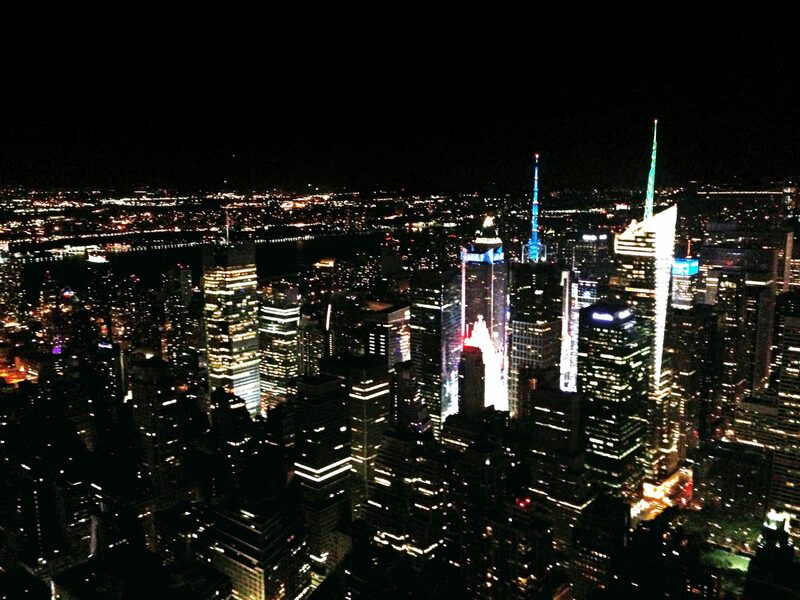 Late hours also offer tourists the opportunity to view stunning sunsets and see the city come alive at night. The Empire is on 34th Street at the southern end of Midtown Manhattan so you have to look in one direction to see Midtown and the other direction for a view of Lower Manhattan. The Empire State Building charges $25 for adults and $19 for children for the 86th floor observation deck only. If you also want to go up to the 102nd floor observatory it will cost $42 and $36 respectively. You can use the tickets at any time, but usually the line to the elevators to the observation areas is very long, so you might want a combo express ticket for $64.50. The Top of the Rock charges $25 for adults, and $16 for children. The ticket gives you access to all three observation decks. Tickets for the Top of the Rock have a specific date and time, so once you’re in line, the wait isn’t long. So, which cityscape do you prefer?